The United Nations Food and Agriculture Organization (FAO) reports that an estimated one-third of the food produced worldwide for human consumption is wasted annually. In the United States, an estimated 40 percent of edible food is thrown away by retailers and households. In the United Kingdom, 8.3 million tons of food is wasted by households each year. To make the world more food secure consumers need to make better use of the food that is produced by wasting less. 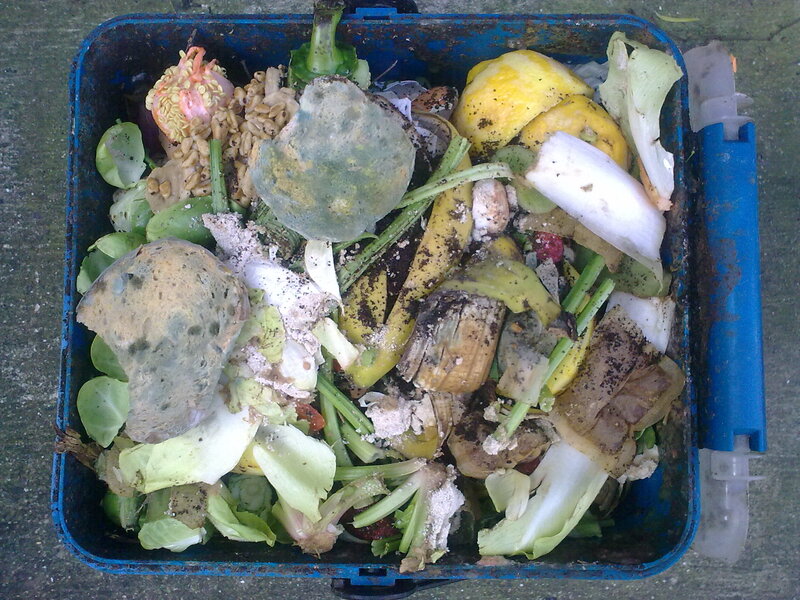 In addition to contributing to food insecurity, food waste is harmful to the environment. Rotting food that ends up in landfills releases methane, a potent greenhouse gas, that is a major contributor to global climate change and can negatively affect crop yields. Composting is a process that allows food waste to be converted into nutrient rich organic fertilizer for gardening.Today, Nourishing the Planet presents five ways that consumers can help prevent food waste. Compost in action: In Denver, the city contracts with A1 Organics, a local organic recycling business, to take people’s waste and turn it into compost for local farmers. Similarly, a new pilot program in New York City allows patrons to donate food scraps to a composting company that gives the compost to local farmers. Donating food that you don’t plan to use is a great way to save food while helping to feed the needy in your community. Food Banks in action: In Atlanta, Georgia, the Atlanta Community Food Bank relies on food donations to supply 20 million pounds of food to the poor each year. In Tennessee, the Second Harvest Food Bank works to reduce waste resulting from damaged cans by testing the cans to make sure that they don’t have holes in them that would allow food to spoil. For more on how you can donate food that would otherwise go to waste, visit Feed America, a national network of food banks. Food is often wasted because it isn’t stored properly which allows it to mold, rot, or get freezer burn. By storing food properly consumers can reduce the amount of food they waste. Better storage in action: The National Center for Home Food Preservation (NCHFP) is a great resource for consumers to learn a range of techniques to increase the shelf life of food. For example, they recommend blanching vegetables, briefly boiling vegetables in water, and then freezing them. They also stress canning fruits and vegetables to protect them against bacteria. People often buy more food than they need and allow the excess food to go to waste. Reducing food waste requires that consumers take responsibility for their food consumption. Instead of buying more food, consumers should buy food more responsibly. Buying less food in action: Making a shopping list and planning meals before shopping will help you buy the amount of food that is needed so that you don’t waste food. There are a number of services that help consumers shop responsibly—Mealmixer and e-mealz help consumers make a weekly shopping list that fits the exact amount of food that they need to buy. Eating leftovers is another great way to reduce the amount of food that needs to be purchased. At leftoverchef.com, patrons can search for recipes based on leftover ingredients that they have. Similarly, Love Food Hate Waste, offers cooking enthusiasts recipes for their leftovers. Consumers should make sure that they shop at places that practice responsible waste management. Many grocery stores are hesitant to donate leftovers to food banks because they are worried about possible liabilities if someone gets sick. But consumers can encourage grocery chains to reduce food waste by supporting local food banks in a responsible manner. Responsible grocery shopping in action: Safeway and Vons grocery chains donate extra food to Feeding America. Additionally, Albertsons started a perishable food recovery program that donates meat and dairy to food banks. The Fresh Rescue program, which partners with various national supermarkets, has also helped food banks with fundraising in 37 states. Read more from Nourishing the Planet. Purchase State of the World 2011: Innovations that Nourish the Planet.